DJI has once again changed the game with the release of their latest drone, the Spark. It was designed to get even the novice pilot off the ground and into the air in seconds. You can control it with your smartphone or you can opt to fly it longer distances with a joystick remote. Now that the price has fallen to under $400 it is an excellent drone to pick up. What’s the most exciting aspect of the Spark? It was designed to take off from the palm of your hand without needing any remote control at all! Thanks to several rounds of leaked images and videos, the DJI Spark is one of the most anticipated consumer drones ever. The normally well-disciplined drone juggernaut was leaky as a sieve when it came to the Spark, with new leaked images and videos hitting the web every few days. The thinly-veiled PR campaign was a success, drumming up a lot of free press (including from Half Chrome). Spark speculation has finally come to an end with DJI’s official announcement on May 24th. Now that the Spark is finally here, let’s see what it really brings to the table. Take a look at the Spark from the top. Who is the Spark Intended for? 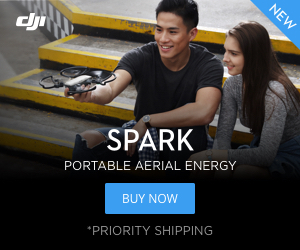 DJI wants everyone to own a Spark. DJI tried to design the Spark so that experienced drone pilots, weekend warriors, and stay-at-home moms alike would feel they needed this miniature flying camera. With a quick launch time, compact size, easy usability, excellent camera, and attractive price point, DJI wants one of these in every home. Here we will show you the Spark in Tripod mode, Sport mode and in normal flight. You can see how it performs and how the gimbal responds in each mode. Let’s look at the key features of the new DJI Spark with some minimal color commentary. Price: With a price starting at $399 the Spark is right in line with what the Spark has to offer. It is DJI’s least expensive drone and will be an attractive drone for the masses. You can add a remote, extra battery, case and more by picking up their Fly More Combo for $599. This is what you’ll get with the Fly More package. The Spark, two batteries, propeller guards, charging hub, remote, case, travel bag, USB cord, and instructions. Camera: Full HD video capability and 12 megapixels make this drone one of the most affordable ways to capture photos and videos that you are proud of. 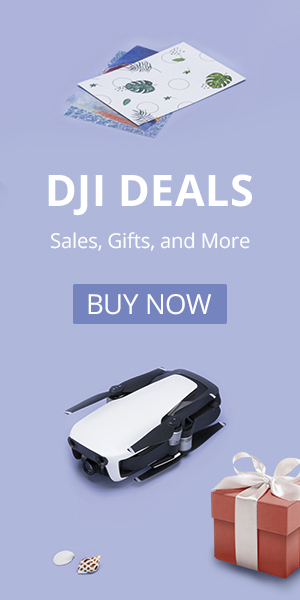 DJI’s cameras have been getting better, so despite the low price of this drone, we expect this camera will blow away any comparably priced competition. Gimbal: Unlike other DJI products, which all have a 3-axis gimbal, the Spark has only a 2-axis gimbal. DJI decided to save cost and decrease the size of the Spark by forgoing the third axis, which stabilizes the camera in yaw (rotation about the vertical axis). Don’t expect your image quality to suffer much, drones are very stable in yaw except for in heavy wind. Flight Time: 16 minutes of flight time might disappoint some pilots but it is most other drones of this size. If you buy the Fly More Combo you can add a second battery and another 16 minutes of flight time. Range: If you are flying your Spark with only your smartphone you’ll be limited to 109 yards. If you want more range you will need to get the optional remote that comes with the Fly More Combo. The optional remote will get you 2000 meters (1.2 miles of range), twice that of the similarly priced Phantom 3 Standard. The Phantom 3 Standard is much larger but comes with a 3-axis gimbal. Speed: 31 mph isn’t going to put you in 1st place at the drone races but it certainly isn’t slow. Obstacle Avoidance: With forward facing and bottom facing sensors, the Spark is the only drone this small with obstacle avoidance. This feature will make more people comfortable flying the Spark. You can see the downward sensors and camera on the bottom of the Spark. Flight Modes: DJI introduced the all-new QuickShot Modes. You get four quick and easy modes to capture quick footage on the go. They are Rocket for quick vertical videos, Dronie for the quick selfie, Circle for orbiting the subject and Helix which will corkscrew around and away from the subject. DJI touts these as simple and easy to use modes for the Spark. You will still get the Tapfly and Active track modes that have become common in recent DJI releases like the Mavic and Phantom 4 Pro. Gesture Control: This is the first drone of its kind to be able to be operated without a remote of any kind. You can get it flying without even taking your smartphone out of your pocket. It responds to a number of hand gestures and can even snap pictures for you. You can launch the Spark and snap a photo all with simple gestures. DJI GO 4: The new DJI GO 4 app not only allows you to control your Spark but also allows you to edit your videos. With a new quick editing feature, you can splice together videos add transitions and music in seconds. What Makes the Spark Different? DJI dominates the high-end consumer, prosumer, and professional drone markets, so where does the Spark fit in? Let’s start at the top. The Inspire is a top-of-the-line flying camera capable of taking Hollywood quality cinematography. The Phantom line allows the average Joe to create aerial photos and videos that are almost on par with the Inspire, but with an ease that few other drones can claim. The Mavic allows consumers to be able to take their drones on the go with them and now the Spark is the latest in the DJI lineup to raise the bar. The Spark was truly built to be an easy to fly drone for everyone, not just drones enthusiasts. You can see how much smaller the Spark in than the DJI Phantom Series of Drones. DJI wants everyone to be comfortable flying a drone and the Spark is up to the task. Their number one goal was to design a drone that was easy to use. With great stability, a durable design, an affordable price, small size, and obstacle avoidance, we anticipate that the Spark will grab a lot of market share in 2017. The base price of $499 is also nice. However, DJI does have another great sub $500 drone. See how they compare here. Should I Get a Spark? If you are looking for a small portable drone that is still capable of taking really good 4K video then you need to consider the Spark. Its intuitive features and ease of use really are a game changer. DJI wanted people to be able to tell their story using a drone and DJI just made it easier for anyone to do so. If you opt for the Spark we’d highly recommend the Fly More package. It is worth it for the remote and extra battery alone, but you also get propeller guards, a battery charging hub, a hard foam case, and a travel bag. We would have liked the foam case to have a better closing mechanism, and the travel bag is a little small, but it is hard to complain about a drone this impressive. The foam case and the included travel bag are nice touches but could have been better. What About All the Speculation? You’ve probably read a lot about the Spark prior to the release. You might even be one of the 50K+ people to watch our video full of in-depth Spark analysis. We correctly predicted most of the new features. However, we missed the new gesture controls. You can still 3D print your very own HC Spark if you’d like. You can read more about the 3D CAD here, or download the file using the button below. Click once to add it to your cart and a second time to check out. The download is yours for free! Go ahead and 3D print your own, we did. Pingback: Le drone Spark de DJI arrive bientôt | L'actualités et news sur les drones FPV de loisir : racing, freestyle, photo, film. Pingback: Furibee H815: Looking for a Fun Drone for Less Than $15?